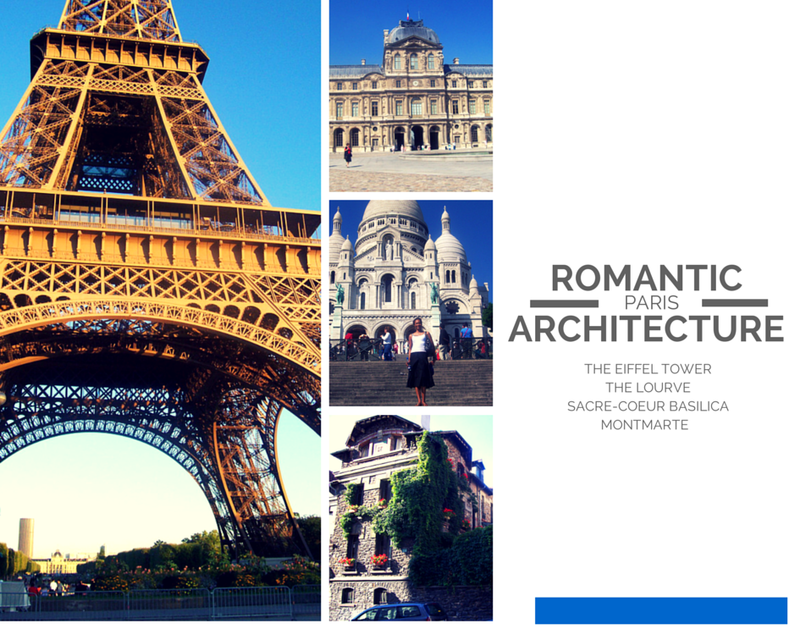 I remember strolling the beautiful streets of Paris and looking up at all of the intricately romantic designed buildings. In particular, I enjoyed walking around the Montmarte section with buildings laced in vines that are filled with art and visiting Basilica Sacré-Cœur. For some reason these are the words that I try to roll off of my tongue when I meet French people (I’m sure they are laughing hysterically in their heads). I grew up always knowing that my mother was a beautiful high fashion model that walked for designers such as Bob Mackie and Adolfo at the Bal Harbor Shops; strutted across fabulous long runways including Miami, NY and Chicago; and traveled the world. I grew up going to her shows and even walking sometimes as a cute kid covered in gold. One year, she even lived in Europe for a few months working for designers in Paris and Milan. She now produces fashion shows and host model workshops with one of her best friends and fellow model Sandra through their company CatWalk Pros. I was also raised to take pride in my name Erica Vernet- Vernet, you see is my mother’s, grandmother’s and great-grandmother’s French first name, which is actually a surname. OK, so I say all of that to say, for my college graduation gift and first passport stamp my mommy took me to Paris, France and Rome, Italy (I had travelled to the Bahamas and Jamaica previously but at the time a passports weren’t required for travel there)! We had a fabulous time and of course found Rue Vernet. 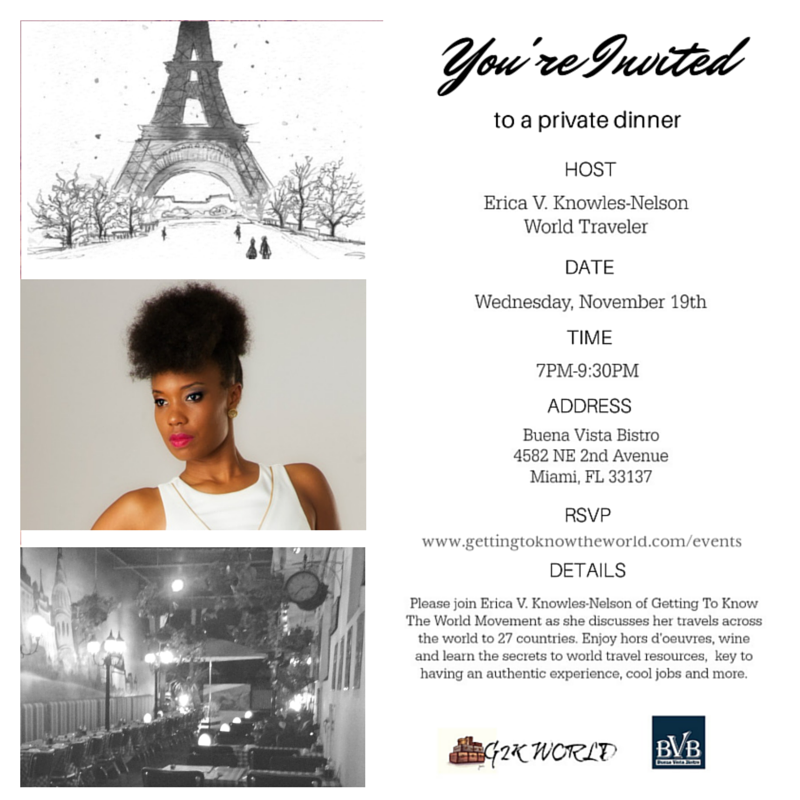 My very first G2KWorld Movement- International Dinner Chat and Dining experience will be at Buena Vista Bistro – appropriately a lovely French Restaurant right near Midtown Miami, on the the 19th of November, owned by “Buena Vista’s First Couple” Claude Postel and Julie Mansfield. I hope to see you there! Over the next few weeks I’m going to post a series of colleges about that trip that will hopefully entice you to travel there. 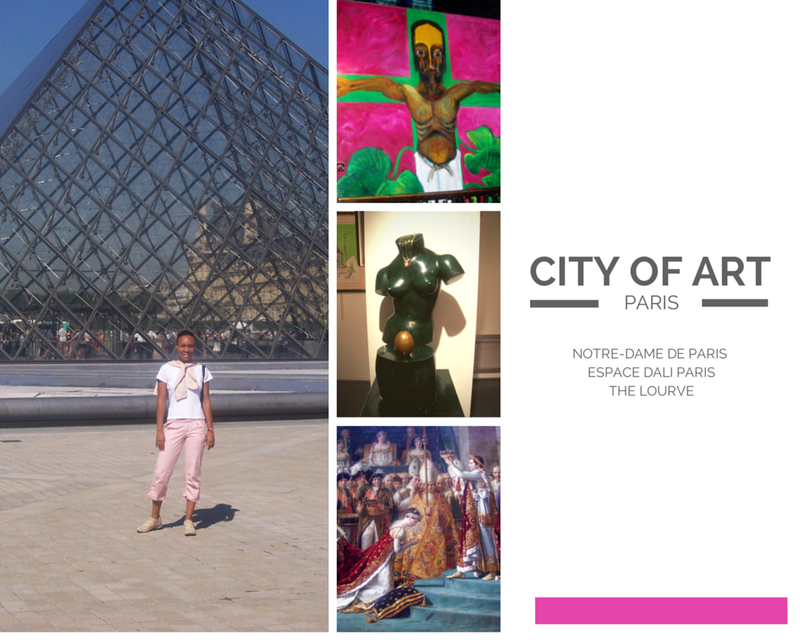 I hope you enjoy the first one “City of Art”.